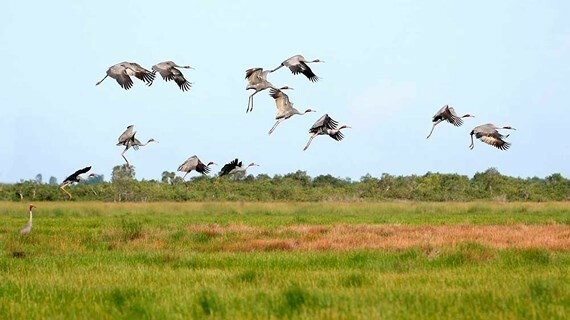 The management board of the Phu My Habitat Reserve in Phu My commune, Giang Thanh district of Kien Giang province yesterday afternoon said that a large number of red-headed cranes have migrated to the Phu My grassland for living in the recent days. Since this year’s March, there have been more than 50 red-headed cranes coming back the ecological park earlier than annually. The red- headed cranes are well-known as a rare species listed in the Red Book which mainly live in wetlands, ponds, lakes and estuaries. 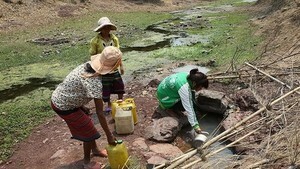 In 2016, Kien Giang province established the management board of Phu My Habitat Reserve on an area of 940 hectares of land and 1,700 hectares of buffer zone with a goal of preserving the habitat and food sources for the rare species. Whereas, four red- headed cranes have reportedly migrated to Tram Chim National Park in Tam Nong district of Dong Thap province for living in previous days. Functional agencies have been conserving the ecological environment to attract more red- headed cranes to the area in coming days.